Why Thrive Themes Vs Genesis Isn't Good Comparison? Why Thrive Themes Vs Genesis Isn’t Good Comparison? 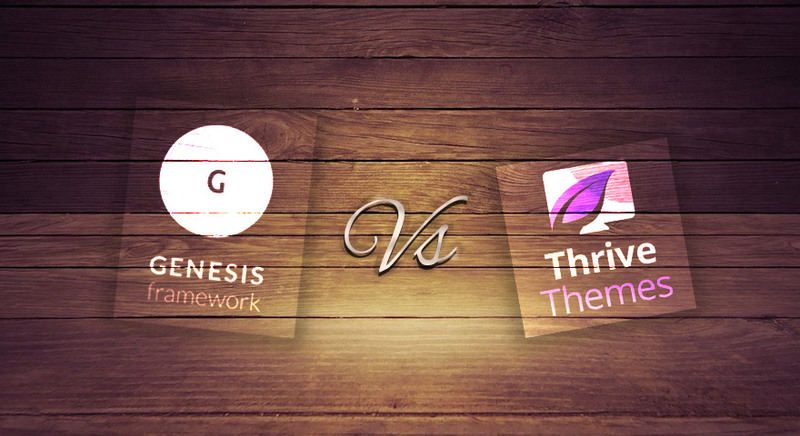 I see loads of people online trying to compare Thrive Themes Vs Genesis. And I see affiliate marketers writing long-form reviews without any real experience just to sell for affiliate commission and SEO points. So I hope this article will help someone make the choice between what to buy for their website. I want to clear out all the differences in this article and explain why it isn’t right to compare them both in the first place. First of all, the marketing world and the average blogger is interested in Genesis because of StudioPress’ child themes and not for the genesis framework. StudioPress makes beautiful, SEO optimised, fast and conversion focused themes built on the Genesis Framework. Many notable online marketing gurus, media companies, agencies and small businesses use genesis child themes for their website. Thrive themes as a company is dedicated to building themes and powerful plugins that are marketed around the term “conversion” as well. They are gaining popularity with their plugins which have high cost-to-quality ratio and extremely good marketing. So when people who are about to enter the world of online marketing research, they hear both these tools being recommended. This is the root of the confusion. But I say it isn’t right to compare them both in the first place. If they both do the same thing, why can’t we compare it? It took me many months to understand this statement. In spite of having a strong technical background myself, I struggled. Having been a developer and technical architect, I understand terms like libraries, frameworks, engines etc used frequently in the technical nerd world. Genesis is like an engine to a car. Car is the theme, and engine is the framework. But not exactly. Due to the nature of software and code, we can’t really find a perfect real world analogy for explaining what a framework is. Same reason why we cannot copy-paste anything physical in less than a second. StudioPress is the company which owns the Genesis framework. They also sell a lot of well-polished child themes created using the Genesis Framework. If its all too confusing and you are just beginning, you DON’T need to understand what a framework or a child theme is. You can simply go to StudioPress website and pick a theme, buy it and start using it with basic knowledge of how to use WordPress. So, how about Thrive Themes’ themes Vs StudioPress themes? In that case StudioPress wins in my opinion for the following reasons. Their themes are much higher quality – technically, design-wise and conversion focused. Their themes are made using Genesis framework, which is technically sound and great for extension and customisation. Both the themes are kinda equal in terms of out-of-the-box customisability. Many of their themes look outdated (not all) and you risk looking outdated if you use them. Thrive themes aren’t great for branding. They are content and conversion focused only. Thrive themes aren’t great for aesthetics, but still good enough and will have good conversions to create a profitable blog, sell e-books etc. For instance until today, when you change fonts in Thrive Themes themes, it won’t reflect in a few places like menus and few other locations. While its not that ugly for some people, its not nice if you want to create a branded site with fonts that you want your brand to strictly stick to. What does Thrive themes themes offer out-of-the-box that StudioPress themes don’t? Thrive themes has built-in Image Optimisations. For StudioPress you need a (free) plugin for these features. Then why do I still own Thrive Themes Membership for 2+ years now? Because Thrive themes membership provides me about 10 different plugins for different purposes and 10 WordPress themes now. I guarantee that they will be releasing more plugins given their history. I have been their customer for 2+ years now. Their themes aren’t actually their strength. Their plugins are. Their Thrive Architect plugin is their super-hero page builder and the other plugin Thrive Leads is the side-kick. I use them extensively along with plugins like Thrive Ultimatum, Thrive Apprentice and Thrive Comments frequently. The homepage of this website and few other landing pages are built with Thrive Architect. As of writing this article the website runs on Thrive Themes’ Minus theme. But very soon it will be running on a Genesis child theme. I will continue to use Thrive Leads, Apprentice and Comments for a long time I predict. Should you buy a Thrive Themes Membership or Individual licenses? If you need just 1 or 2 of their plugins, just buy their individual licenses. If you need more than 2 of their plugins, get their membership as it works out to be the same price for a year. For that price, you get access to all their plugins and all their themes. You can use them on unlimited personal sites that you own. So who can use Thrive Themes’ themes? Anyone who is starting out to build an entire online marketing funnel, start content marketing, sell e-books and informational products. Or anyone who simply has an online business where content marketing, landing pages and lead magnets play the main role. These starters should be focused on the content and their product. Not on branding, fonts and colours. 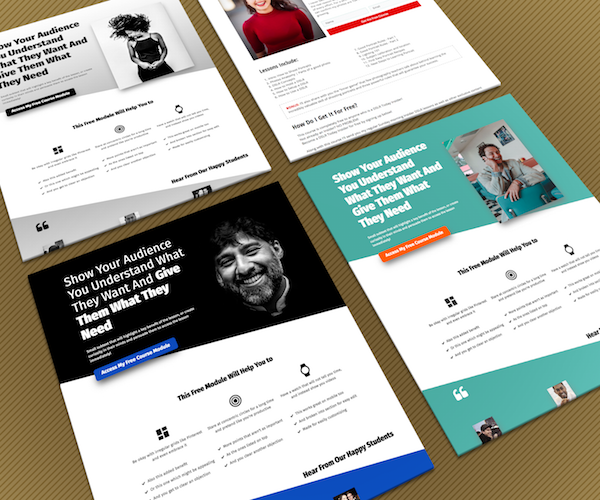 They can simply install a Thrive themes’ theme, just use a custom text logo and focus on building content, products and growing their email list. Their main challenges are at this stage are product validation because they haven’t even made a single sale yet. They need to focus on simply writing good content/copy, doing customer research, offering high quality lead magnets, building an email list and making a sale. Of course, if you are starting a luxury shoe store online, I don’t recommend using thrive themes. Even though you are starting out, you need to focus on aesthetics and branding in that case. But not if your focus is selling e-courses, e-books and other informational products, Thrive themes’ themes will do perfectly fine. Not that you cannot use StudioPress Themes for this, but you will need Thrive themes membership to build your funnel anyways and you get their themes along with that. So you have no need to buy anything extra. But if you have the extra cash and prefer aesthetically better themes, you can buy StudioPress themes. But remember, at your stage of the business, unless it hurts aesthetics are simply a distraction. I know few ex-clients who simply keep changing theme after theme, tweaking colours and fonts forever without actually doing any work in terms of building good content, growing their list or creating good products. What I Recommend for Established Online Businesses? – Mix Genesis with Thrive Themes. For my clients who are non-starters and already established, their goals are to build their brand and focus on providing consistent brand experience on their website as well. My current suggested stack is to use Genesis framework with one of their premium child themes, or make your own with Cobalt apps Dynamik website builder (it outputs technically sound, extremely fast code) and very easy to customise for your brand without a developer and spending thousands for a branded site. Then use the Thrive themes’ plugins on top to build your funnel, landing pages, lead magnets, scarcity tools a/b testing etc. They both work well together without any problems. Moreover any custom coding or features you want built specially for your business in the future, its easily doable with Genesis as your theme framework. I would like to end this article concluding you should avoid buying themes from ThemeForest. This decision came out of experience of years. They are usually bloated, use loads of unwanted plugins, often run into plugin conflicts, and their updates often break each other’s dependency. It will create headaches for you in the long run especially if you have a content based online business. So stay away from them even though they might appear shiny and have a billion features shipped with them. Just noticed in the article above you do not recommend using themes from ThemeForest, however in your article July 2017, “Can You Setup WooCommerce on Thrive Themes” you strongly recommended Flatsome by ThemeForest. Have you changed your mind? Thanks for dropping by Mr.Prosser and excellent questions. I should have made myself clearer. I said don’t use ThemeForest themes as foundation for your online business. But I forgot to mention the finer details. ThemeForest is a marketplace with thousands of vendors selling their themes. There are a lot of segments in that marketplace if you look in fine detail. 1) Established theme authors – they cater exclusively to small agencies and freelancers who simply want to deliver a site fast – This is the most dangerous category of vendors. They don’t power websites of established lead generating, conversion focused businesses in most cases. They are used in new websites for business who simply need just a pretty website for cheap to establish credibility. Most of their themes are bloated, because they aim to capture more and more of the market. Their theme comes with 10s of free plugins (esp Visual composer and Sliders). They try to be everything. Though they often claim their demos have great google page speed score, in practice when we implement its so much harder to get those results. Plus things break when you update the wordpress plugins. 2) Independent / small sized theme authors – Now this is a double edged sword. Often these guys are passionate and give great personalised support. But there are chances of them disappearing if the theme has only small sales. I have bought plugins from new authors and had delightful experiences. And I have bought themes from new authors whose product was simply buggy as it didn’t iterate enough and got burnt. 3) Small number of actually usable themes – This is where in my opinion Flatsome falls in. Also the fact that they focus only on woo commerce e-commerce sites enables them to create a finer product for a targeted audience. There are more themes and theme vendors on Themeforest who are doing it ‘right’ but its a really tiny percentage. For all the above reasons, I recommend its generally better to avoid ThemeForest themes (but certainly not all) and go to established theme companies like – StudioPress, GeneratePress, Divi, Ultimatum and few others. They usually have a solid technical framework underlying their themes too. They empower millions of revenue generating websites that businesses depend upon.